Paul-Henri once joked that “In the Spring the asparagus arrives and so does Dale.” I love the seasonal availability of produce. When something is fresh the flavor and texture are supreme and you eat a lot of it until it is gone. Then you have something to look forward to next year. 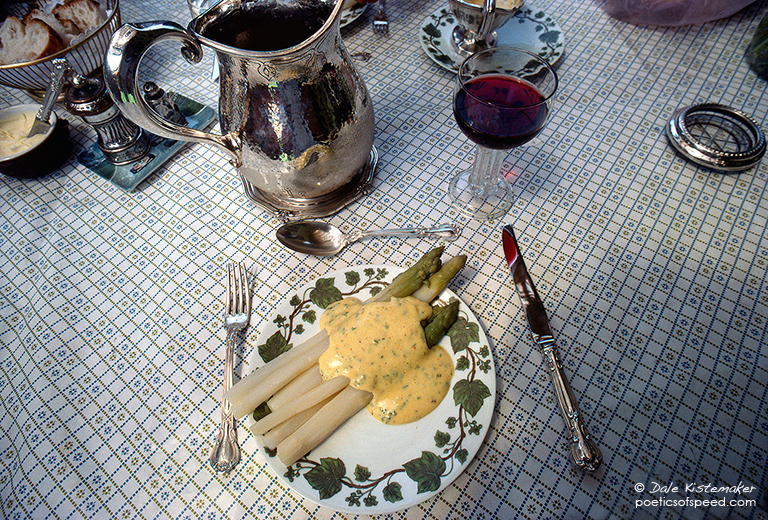 Needless to say the asparagus at La Boîte d’Asperge was incredible and it is an indelible memory. Proust had his madeleines and now, decades later, when I taste the first fresh asparagus of Spring I think of France, Le Mans and Porsche 956s.